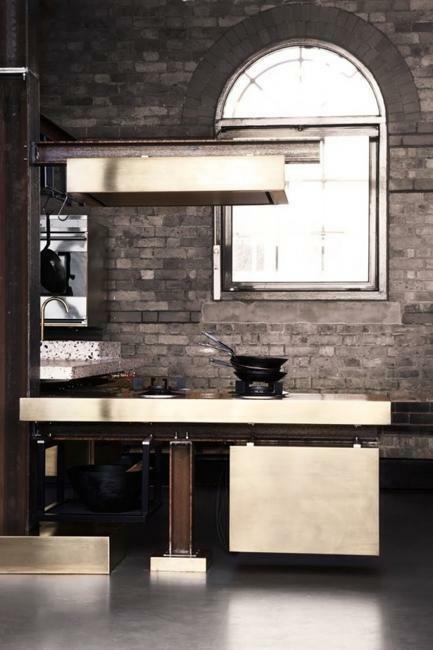 Exposed brick walls define one of the latest trends in modern kitchens. 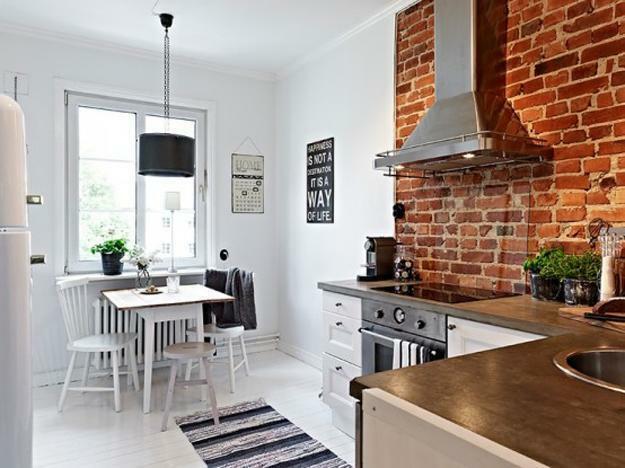 Interior brick surfaces are beautiful and original architectural features bringing vintage style into traditional and contemporary homes. 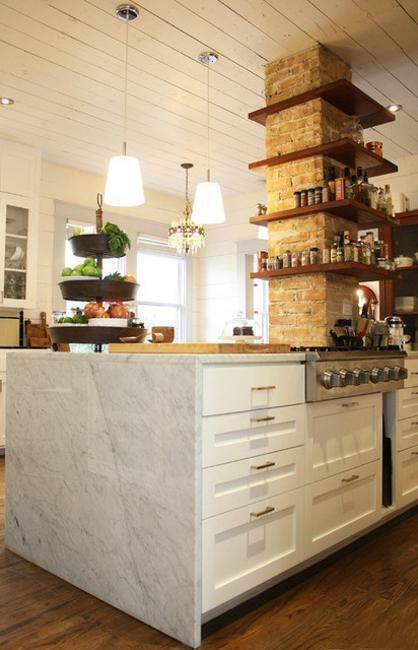 Vintage blocks create a rustic feel in living spaces, set a welcoming atmosphere, and emphasize simple interior design. 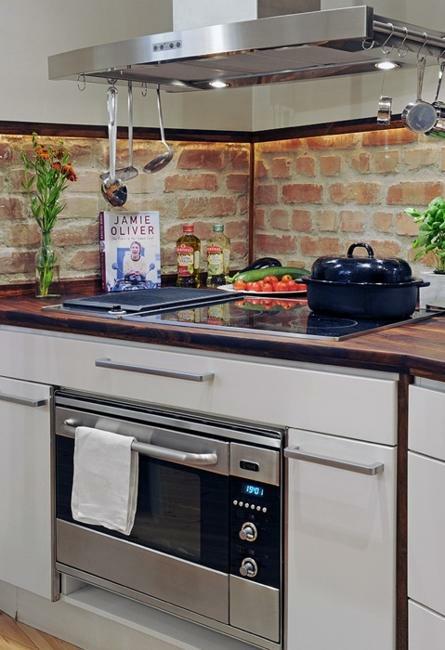 Exposed bricks are versatile, suitable for many kitchen styles, and look fantastic in small spaces and spacious interiors. 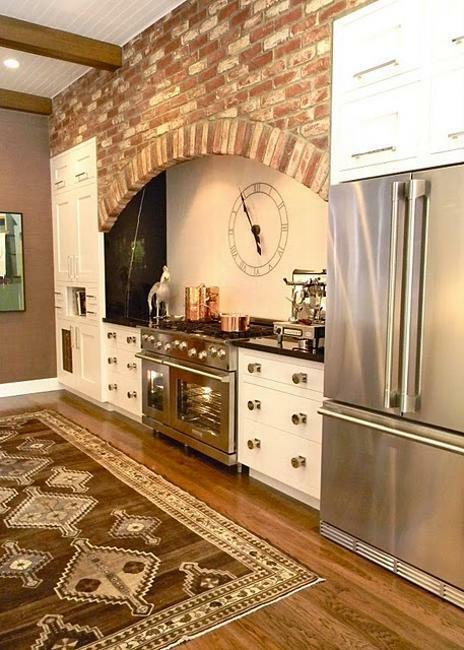 Interior brick walls vary in colors, texture, and patterns, giving an industrial touch or bringing a rustic atmosphere into spaces. Gray, brown or red bricks can be painted white or black, gray or any other color. 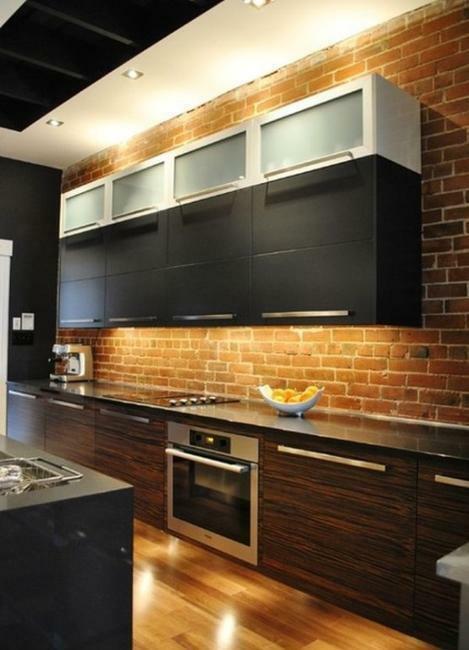 Any brick wall design looks fabulous in modern interiors. 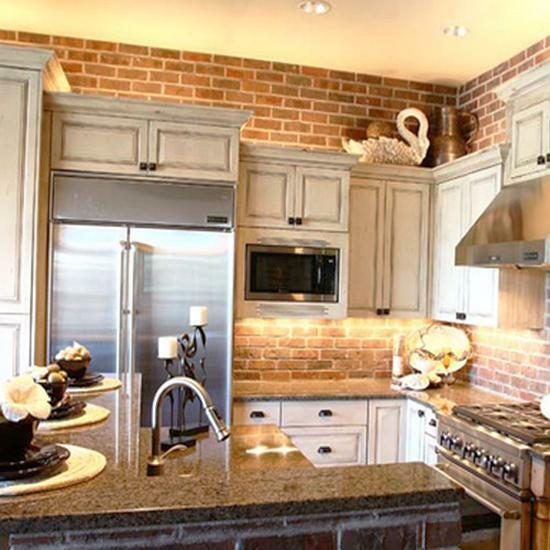 All creamy color shades, gray color tones, and brown colors, combined with unique brick texture and patterns, create one-of-a-kind spaces. 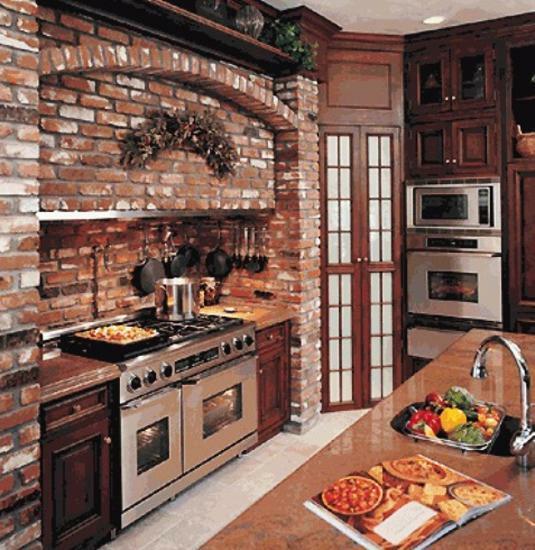 Brick walls look fabulous in classic kitchens. 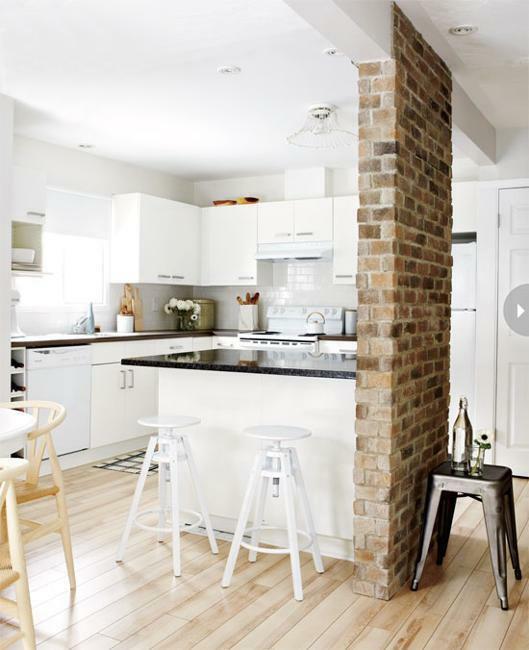 An interior brick wall adds drama to interior design and connects a modern kitchen with the house exterior creating harmonious and attractive homes. 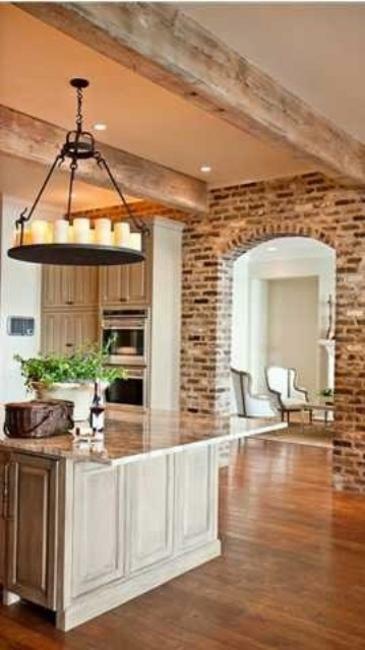 Old brick walls and fake brick wall designs can add a smooth or rippled finish to modern kitchens. Textures create stunning accent walls that enrich interior design and decor in many ways. 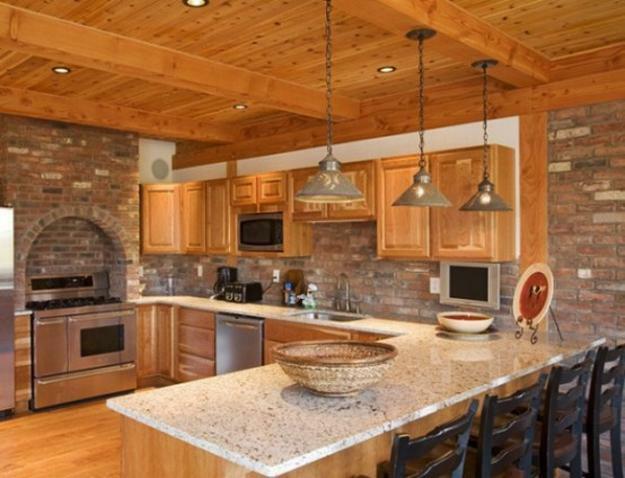 Brick walls are beautiful, durable and almost maintenance-free architectural features that blend well with all traditional and contemporary materials. 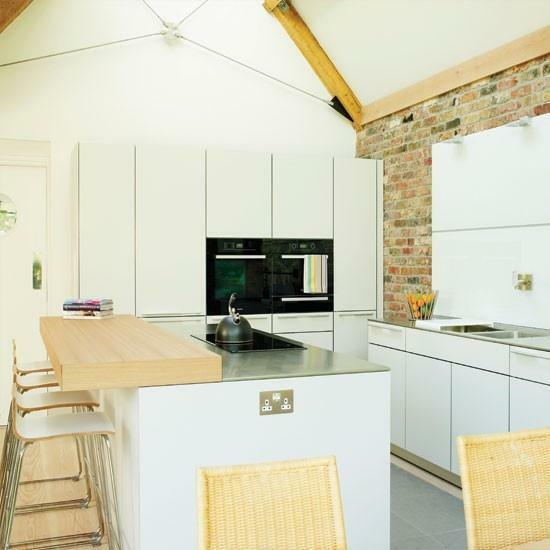 Small blocks create beautiful patterns and add warmth to modern kitchens. 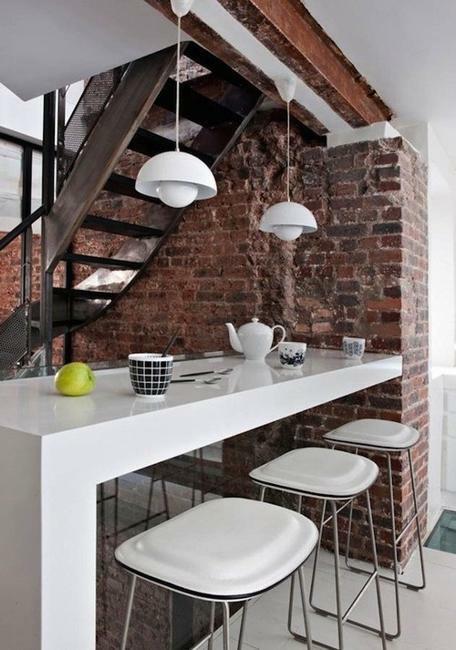 There is something about an exposed brick wall that is exciting, interesting, and attractive. 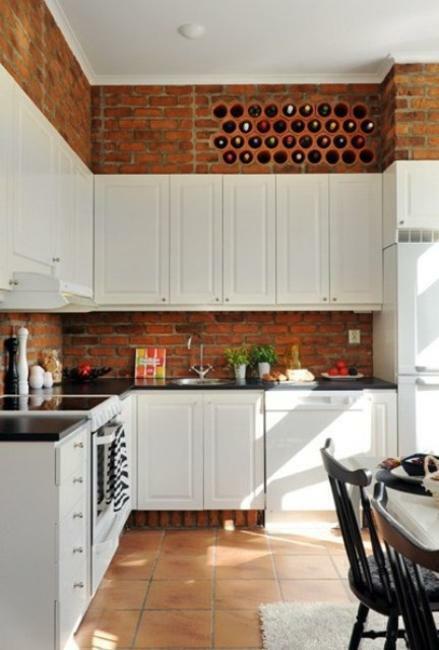 There are several beautiful ways to use an interior brick wall to complement the overall look of a kitchen or dining area. 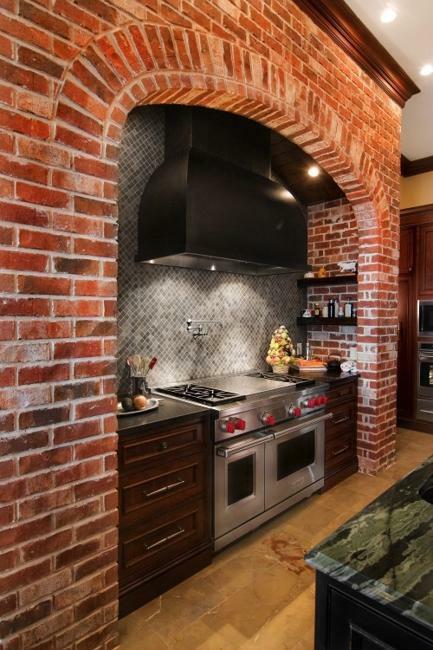 If there is only one exposed brick wall in your kitchen, it makes an eye-catching accent wall. 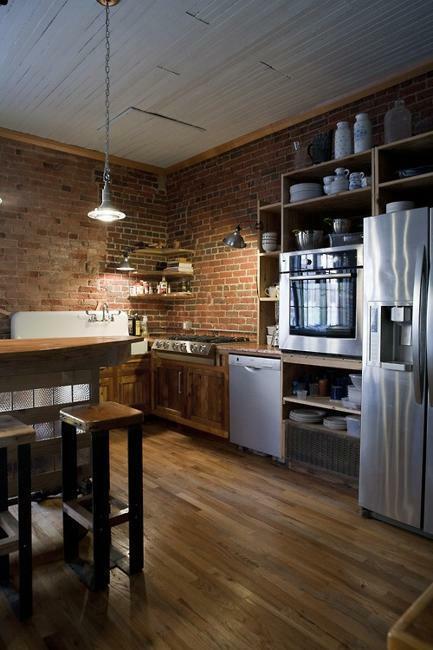 By adding kitchen cabinets to a brick wall, you can turn it into a gorgeous focal point. 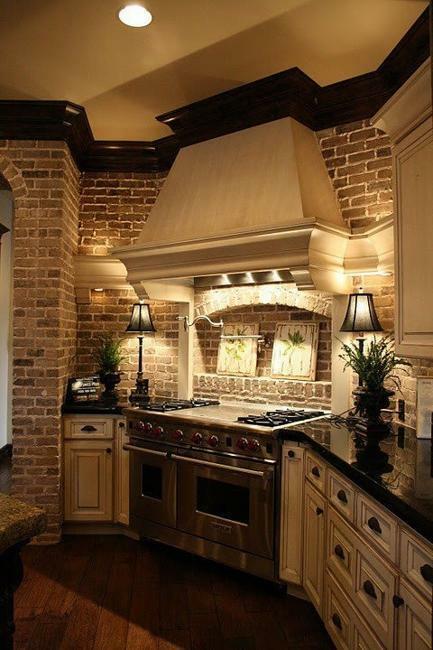 Attractive and functional brick wall design decorates a kitchen interior with unique texture, pattern, and colors. 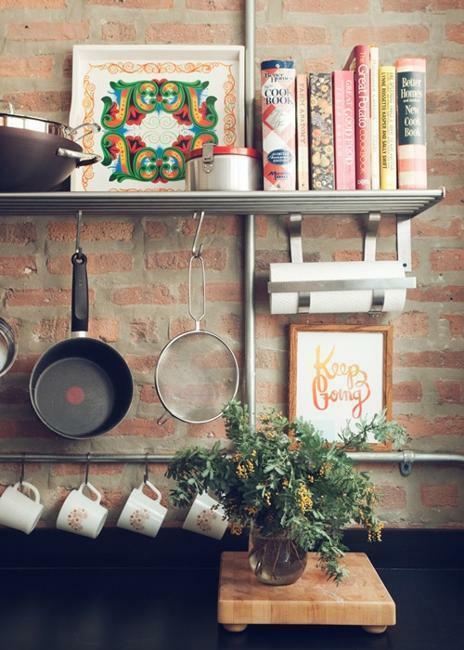 By placing a storage cabinet against the brick wall or adding open shelves to the exposed bricks, you can enhance your modern kitchen design with beautiful displays of plates, bowls, and jars that create a homey atmosphere. 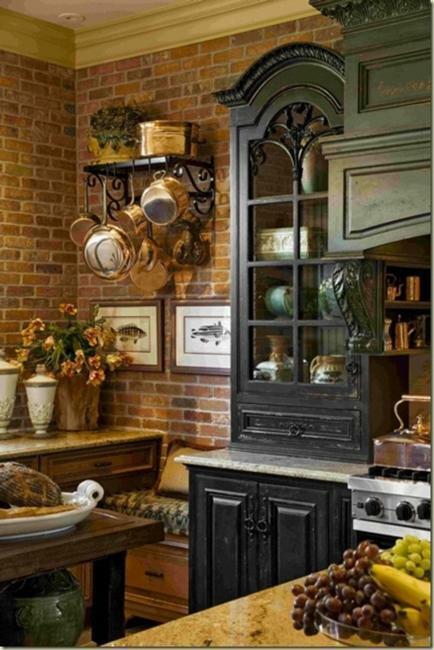 Vintage brick wall design with rustic decorating accessories looks especially warm, attractive, and welcoming. 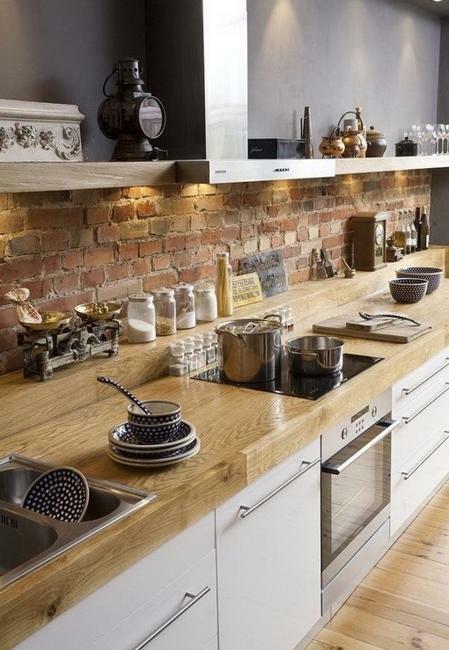 Warm kitchen colors work well with exposed bricks accentuating the original, exquisite, and stylish look of the unpainted vintage blocks. 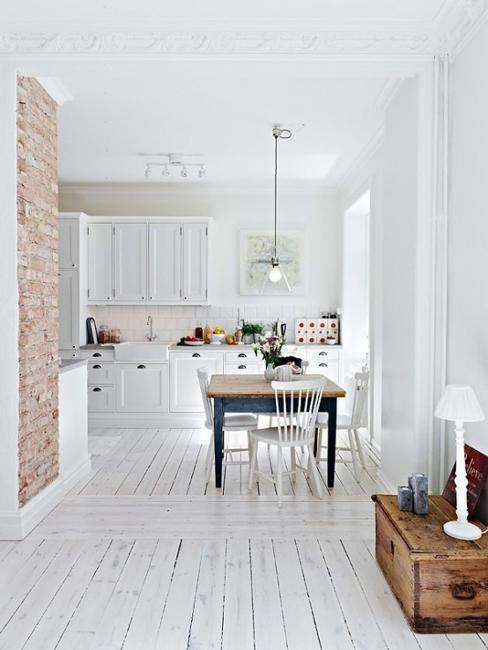 Painting the interior brick wall a coordinating color creates beautiful, bright, and personalized kitchen design. 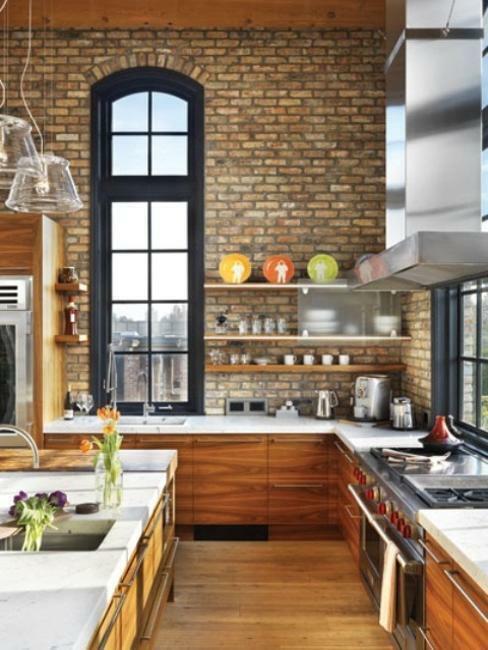 A brick wall is a very special architectural feature that can enrich and beautify modern kitchens, blending unique textures, patterns, and colors with the existing kitchen decor and color scheme. 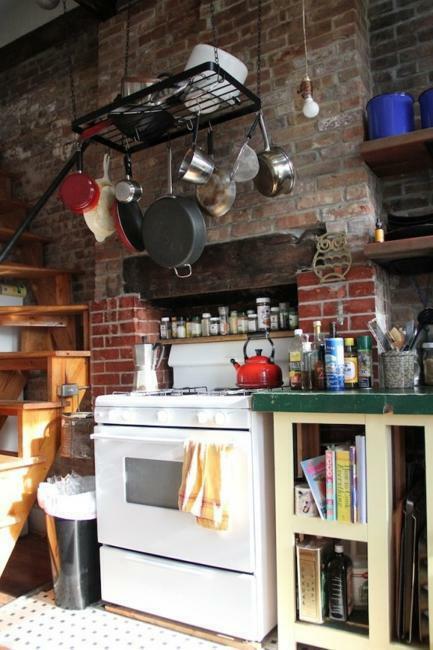 Interior brick walls add warmth and vintage charm to modern kitchens. 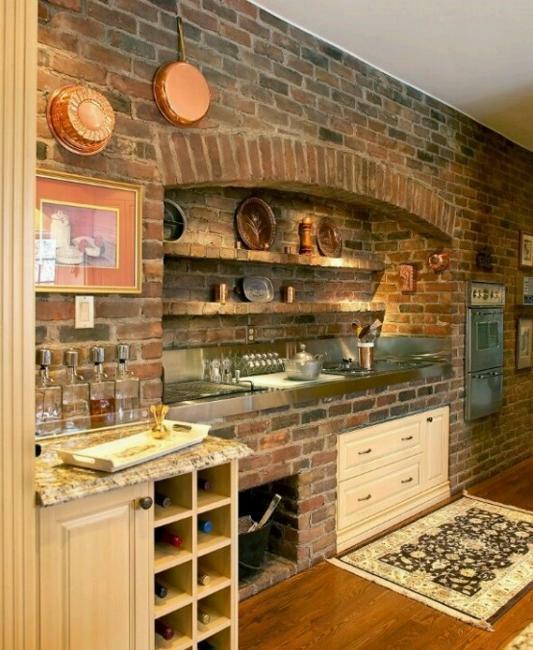 Exposed bricks create unique, relaxing, and exquisite interior design.